A second howdy from Austin, TX!!! I must pay my regards to the forum admin for approving my profile here and Hello all forum members, I'm Samuel Cruz from Miami, FL and I'm here to share my experience with gun smiths and online sellers also I want to gain information about AR rifles so I hope we will help each other in some way. Hello. I bought an AR5.7 upper, and have so far run 99 trouble free rounds through it - FN & American Eagle. Not on an AR - but on a Lyndon, which is an eBay AR trigger jig modified to fit an Ares AR thumbhole stock. I'll get some pics up after awhile. I have a second design, using an unmodified trigger jig, and a modified California compliant non-pistol grip - that I'm using as a pistol grip. Need to throw some super glue on it or epoxy, maybe sink some self-tapping wood screws into the 3-D printed plastic bits to keep it from coming apart under recoil, and then I can go shoot it. One of the least expensive 5.7x28 pistols around, and can be built entirely of parts purchased off the internet. Slightly easier than doing an 80% AR lower. Glad this forum is available. Look forward to interesting discussions. Lemme go find one w/ the 5.7 upper. Thanks! It's pretty odd for a 1st gun build, but it works - 99 trouble free rounds, half FN, half American Eagle. I really like the look of that stock and an AR57 upper. Tell me more about the setup. and 1 trigger jig off eBay. Add buffer tube, castle nuts, buffer, spring, and FCS. Hacksaw well, and pin together. Go shoot. First post here. Happy 5.7 owner! I saw my first 5.7 at a friend's house about a year ago. I was intrigued by the design of the round, the way the pistol fit my hand (I'm 6'3" 260#) He had the blue tip ballistic rounds in it, and the kicker was the 20 rd magazine. When he opened his gun safe, there was a golden glow of light and the hallelujah chorus sang out (in my mind) in other words he really had a nice collection and the experience behind his choices. I saw my first suppressed AR up close and he had a Saiga shotgun as well (I love my Kel-Tec KSG w/Aguila mini shells, all 24 of them ready to go). Anyway I got MY 5.7 about 6 weeks ago, went to the range once, then again a few days later to qualify for my Concealed Carry permit. So I would love to conceal carry it, but in south Louisiana I wear cargo shorts with my button up short sleeve shirt about 10 months a year, and 501 tactical pants when I'm at work. 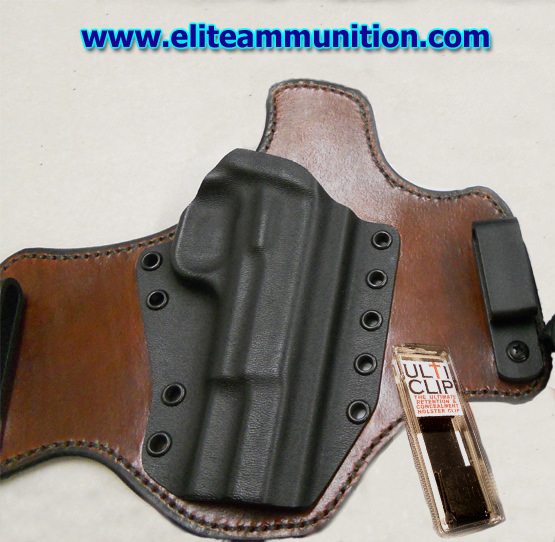 Concealed carry holster or clip suggestions? Or should I look for something smaller. The point to carrying concealed is to have my weapon with me as often as possible, and for it to be-well-"concealed" but also effective, and that means I have to be proficient with it. Thanks. I picked up a Ruger LCP II yesterday. 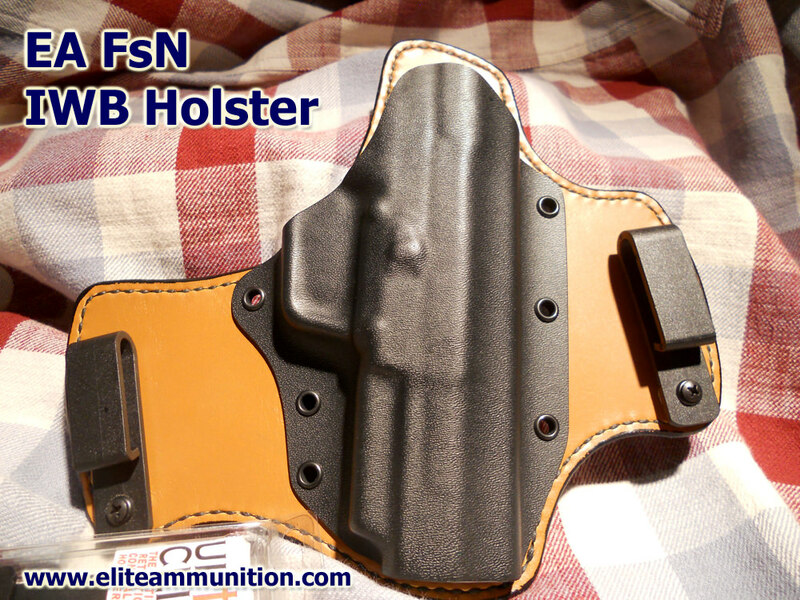 Great "pocket carry" gun. 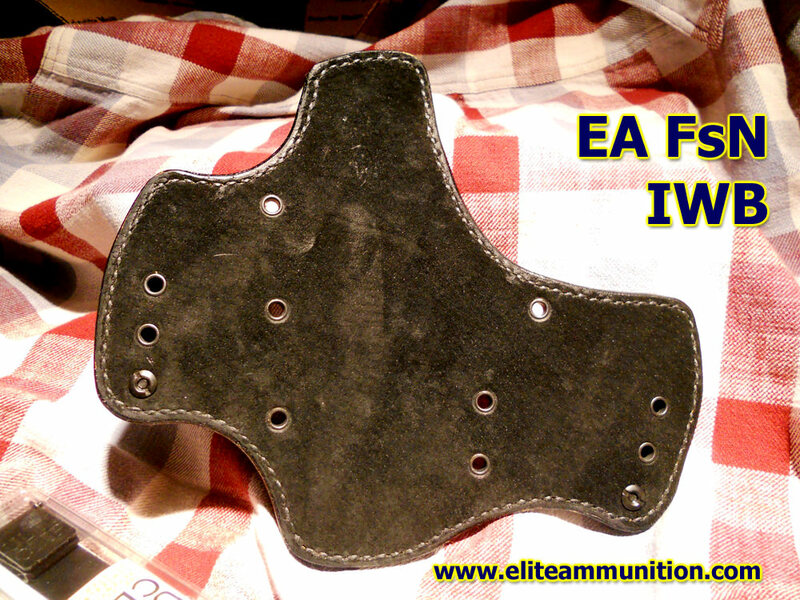 I also ordered a IWB holster for the 5.7 that a forum member here spoke highly of. 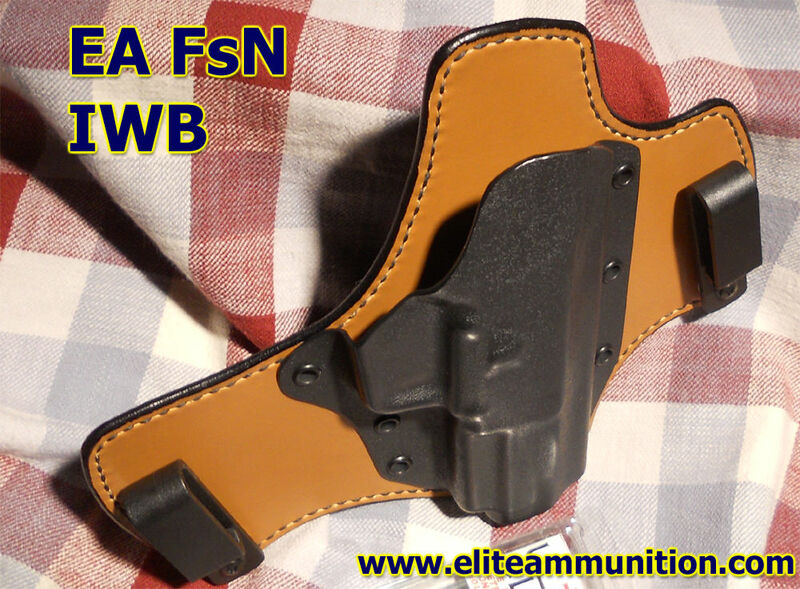 The FsN has the foot print of a 1911 just a lot lighter. This is what I use and have on me currently. The felt backing makes it very comfortable. Add to it the ulti clip option that allows you many option including not even having a belt on. Just joined this forum to gather information. It seems there is not much going on here now, where there appears to have been quite a bit in the past. Am I missing something? Welcome and you're right, it's been pretty dead around here for a while. Not sure if there's a reason, we do occasionally go through lulls.